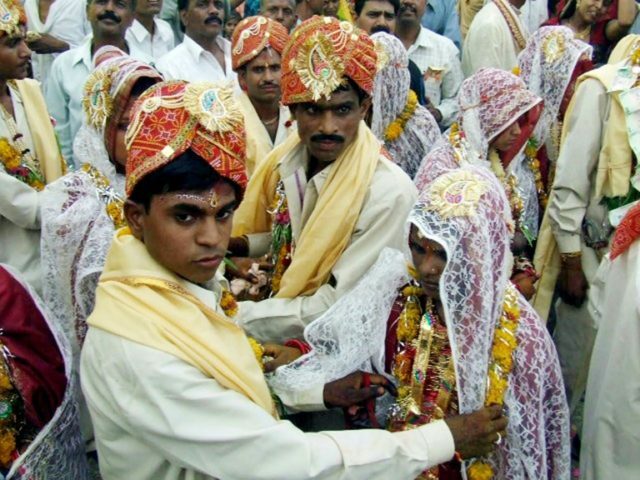 New Delhi (AFP) – A significant drop in Indian girls being forced into marriage has led a global decline in the number of child brides, the United Nations said Tuesday. “South Asia has witnessed the largest decline in child marriage worldwide in the last 10 years… in large part due to progress in India”, it said. The risk of a girl being forced to marry before the age of 18 in South Asia has decreased from nearly 50 percent to 30 percent, said a UNICEF statement.